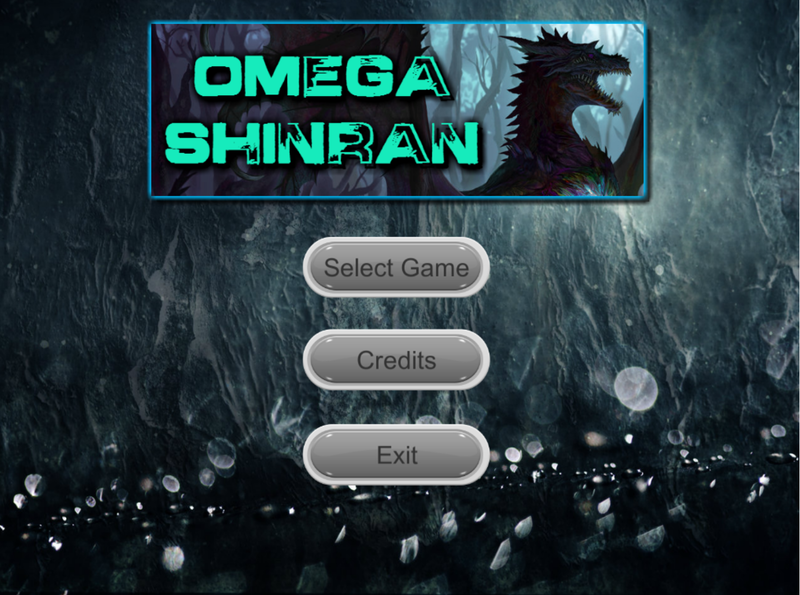 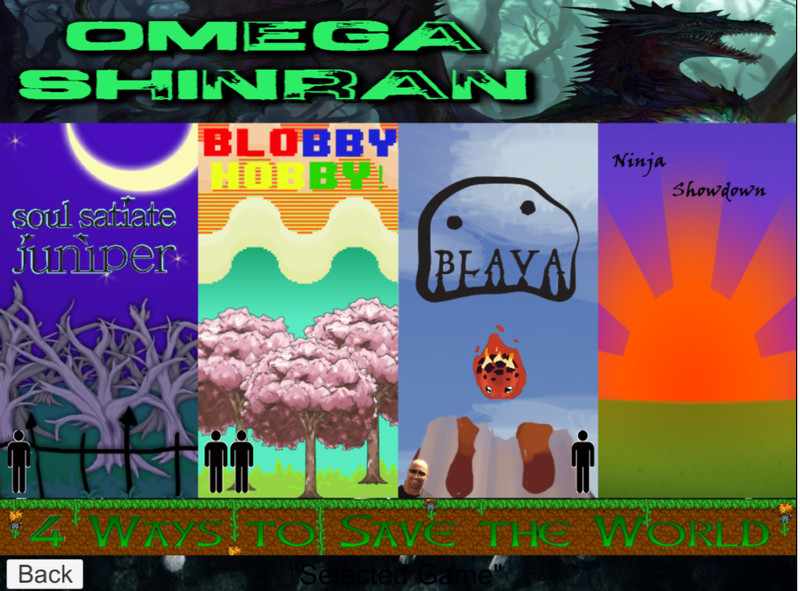 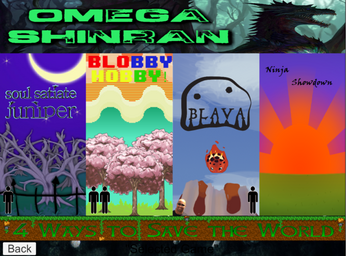 Omega Shinran is a mini-game bundle created for the 2015 Mini Game Jam. 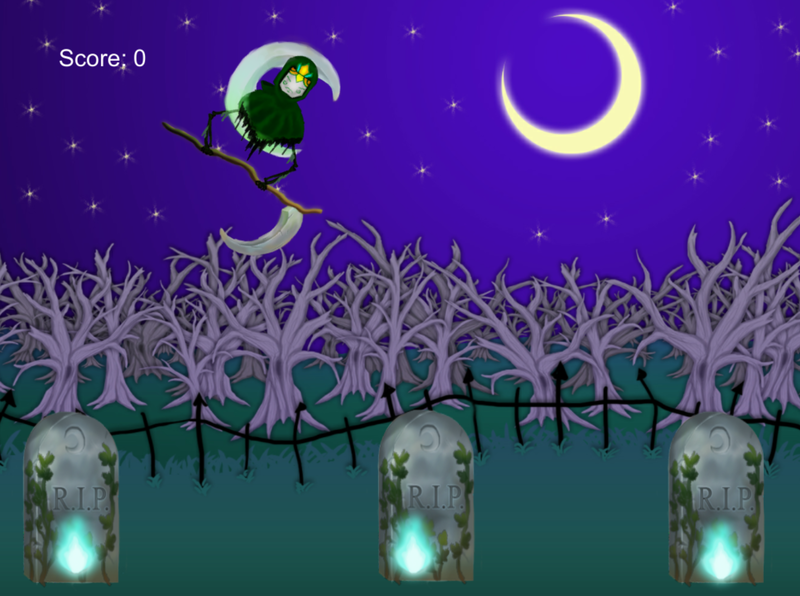 It features five Mini-Games for you to enjoy! 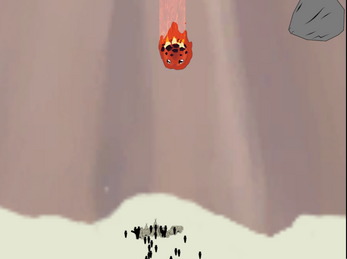 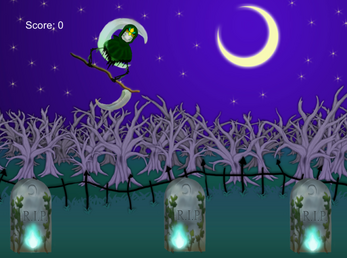 Use your mouse to click on the tombstones to launch the souls into the reaper! Rapidly tap W/E for Player 1 and K/L for Player 2 to slice your ninja opponent! 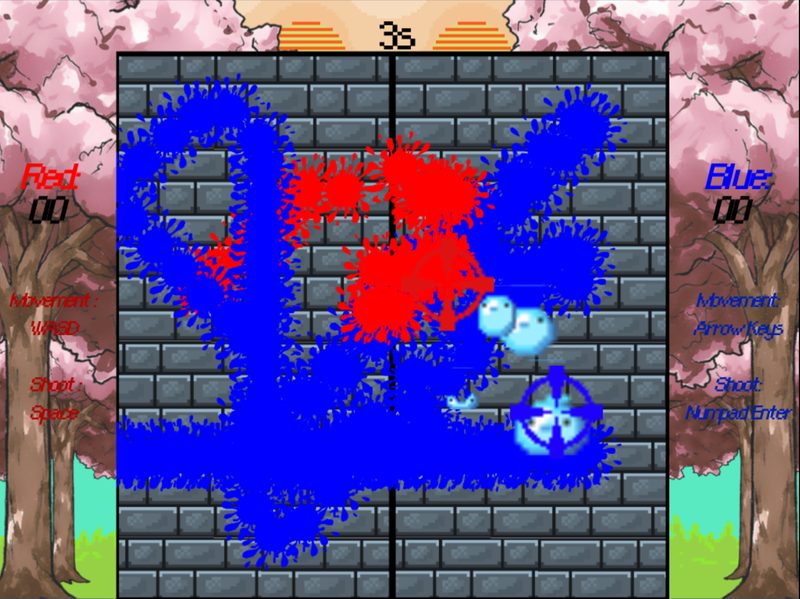 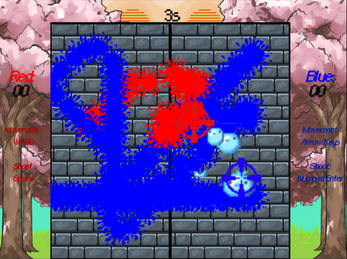 Player 1 use the SPACE BAR and Player 2 use the NUMPAD ENTER to shoot adorable paint blobs at the wall in order to cover the most area with your paint! 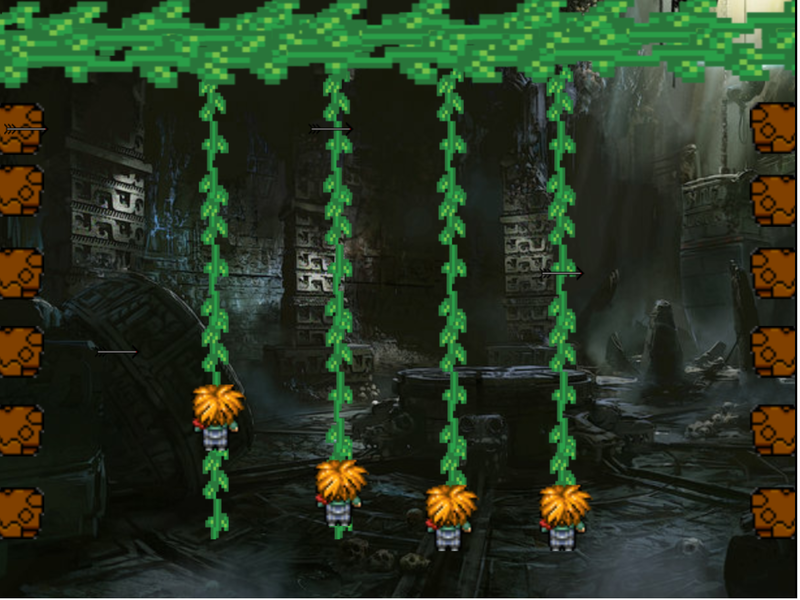 Player 1= Q Player 2= T Player 3= I Player 4= 7, Tap your respective keys to climb the vine and dodge the aztec arrows! Guide Blava the Kawaii lava monster down the volcano to hug the village into destruction us A/D Keys to move left and right or the LEFT/RIGHT ARROW KEYS. 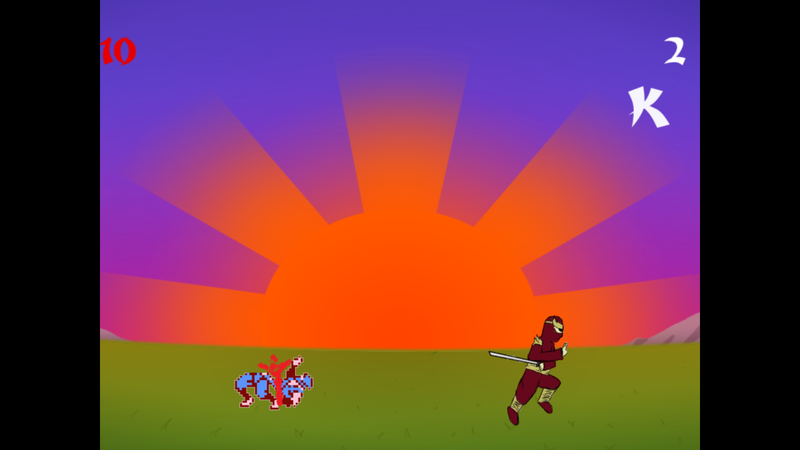 Blava's AMAZING music and sounds were created by Kyler Barton and Austin Edwards, valued members of the credited team, thank you so much guys!